Nsasoft Hardware Software Inventory is a powerful network inventory software for home, office and enterprise networks. 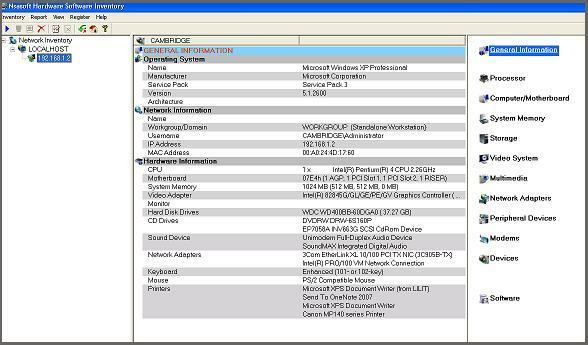 The software scans all computers on a network and generates complete reports about computers hardware and software. 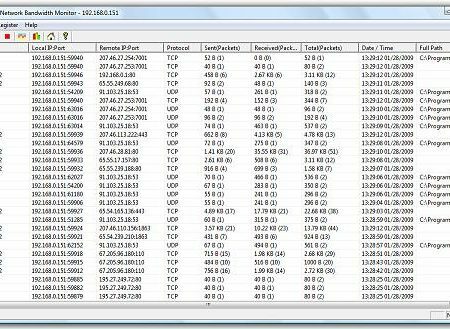 This information is added to the centralized database and then users can generate reports about each or all of the PCs on a network. The program is agent free and requires no software installed on remote machines. The software can export reports to Tab Delimited Txt File (.txt), Excel Workbook (.xls), CSV Comma Delimited (.csv), Web Page (.html) or XML Data (.xml) file, SQLLite3 Database. Highly recommended for budget-conscious companies looking for a feature rich network inventory tool.